A total Tea Jenny, I was delighted to be sent some samples of loose leaf tea from Wise Owl Teas to review. Wise Owl Tea is the brainchild of Londoner, Steve Ellis. Steve has always enjoyed travelling, particularly to exotic shores and talking to the locals and learning from their rich knowledge about how herbs from different regions can be used to make healthy drinks. He loves meeting new people and in particular, chatting over a cup of tea. Tea has always been a passion for Steve, and specifically, organic herbal tea. Steve loves discovering and savouring their delicious blends, learning about their health benefits and hopefully sharing some of his knowledge to help others live a healthier lifestyle. Steve’s love of travel is reflected in the packaging of Wise Owl Teas. Rustic cardboard tubes, decorated with sepia maps, take you on a journey across continents to experience the best flavours from each country’s natural larder. 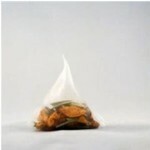 Silky pyramid teabags allow the aromas, colours and textures of the tea to radiate. A smooth blend of Bamboo and nettle, I followed the recommended 3 minutes brewing to create the perfect cup of tea. The first thing that struck me about this tea when submersed in water was the vibrant green of the organic loose leaf tea. An earthy aroma, I was immediately transported outdoors and could imagine green fields of fresh grass. The tea had a slight sweetness to it which I wasn’t expecting based on the fragrance which gave it a nice, smooth taste. For those who enjoy drinking green tea, this would be a refreshing alternative. 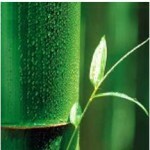 Discover the benefits of Bali Bamboo Organic Loose Leaf Tea . . .
A chunky organic tea, I simply loved the fragrance of this tea and if Steve was ever to create a side-line in scented candles, I would buy them for every room. Olive leaf, pineapple and apple form the ingredients of this smooth, sweet tea. No need to add sugar. A lovely tea to recharge the batteries and dream of distant shores . . .
Find out more about Wise Owl’s Corsican Olive Loose Leaf Tea . . . Wise Owl Teas start from as little as £3.75 for a mini caddy and exotic flavours include: Jamaican Lemongrass, Antiguan Cinnamon Spice, Peruvian Azteca Fire and Tahitan Night Night. 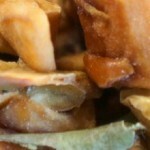 Why not visit their website and explore the flavours and benefits: www.wiseowltea.co.uk. « Things to Do in Glasgow for a Gorgeous Girls Day Out	» Win Afternoon Tea for Two and a View from the Shard.